There is no dearth of tools and Content Management Systems out there to help you build your websites. And speaking of Content Management Systems, web-based CMSs hold a particular place, only because they offer a set of features and services that are unique to their niche. 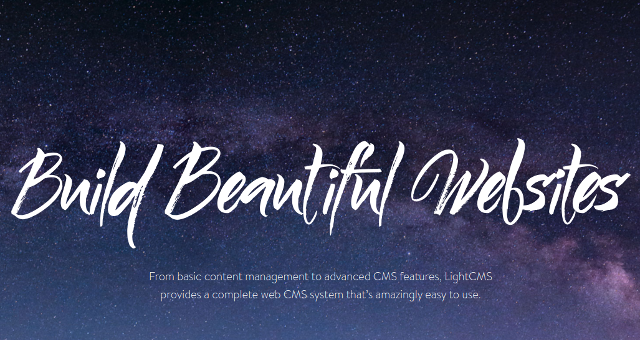 In this post, we will be taking a look at one such web CMS: LightCMS. LightCMS is a Content Management Software that you can use to build websites in a simple and intuitive interface. 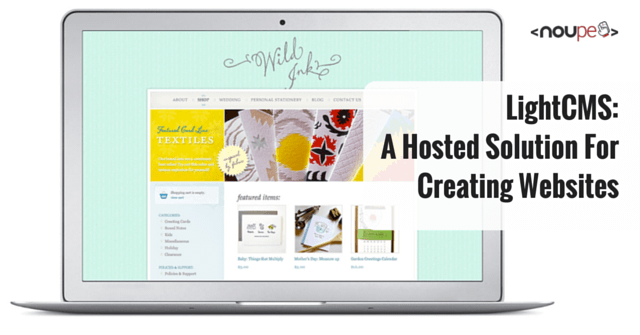 It can be used to power any type of site, be it a blog, an eCommerce store, or an online portfolio. However, just because LightCMS focuses on ease of use, it doesn’t mean it lacks in features or does not allow you to customize your design properly. Everything you build with LightCMS is fully responsive and mobile-friendly. Regarding working, you can add content and elements to your pages within minutes using the point-and-click interface of LightCMS. It offers drag and drop, so you can edit directly on the front-end, and also preview your changes as you go along. LightCMS supports all that you might need to display on your site: images, media, blog posts, photo galleries, custom forms, and a lot more! If you are looking to set up an eCommerce store, LightCMS has specialized tools and features to help you out. You can quickly add products to your eCommerce store, and sell any combination of physical or digital goods right from your store. LightCMS also offers a secure shopping cart and checkout workflow, in addition to handling payments and letting you communicate with your customers from within the CMS interface. And before you ask, LightCMS comes with fantastic SEO features. It offers automated XML sitemaps, Open Graph metadata and tags, keyword-rich URLs, 301 redirects, robots.txt files as well as analytics and statistics for your website. You can integrate Google Analytics to help you assess the growth and performance of your site. 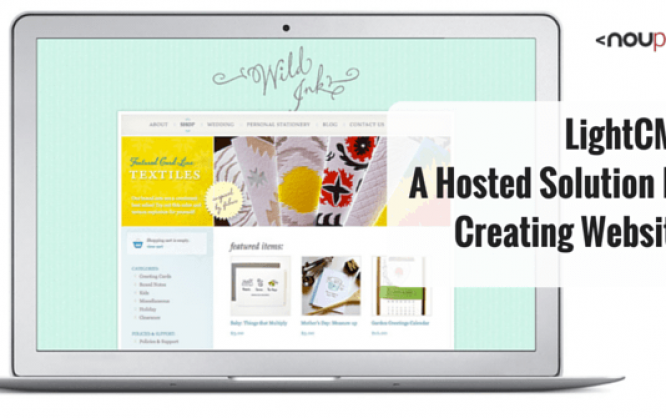 As LightCMS is a hosted CMS, it takes away the hassle and tension of web hosting from you. Your content is stored on secure and redundant cloud servers, with guaranteed uptime and scalable performance. You need not worry about any such thing as installation, upgrades or troubleshooting, as all of that is taken care of by LightCMS. Plus, irrespective of the amount of traffic you receive, you will not be charged extra, nor will your website be penalized if you get a sudden spike in traffic. So yes, you can relax and stay away from worries related to web hosting, and focus on the creation and management of your website. LightCMS offers several different payment plans that start at $19 per month and go up to $99 per month for an unlimited plan. The actual monthly cost is dependent upon the number of pages, storage and products each individual needs. 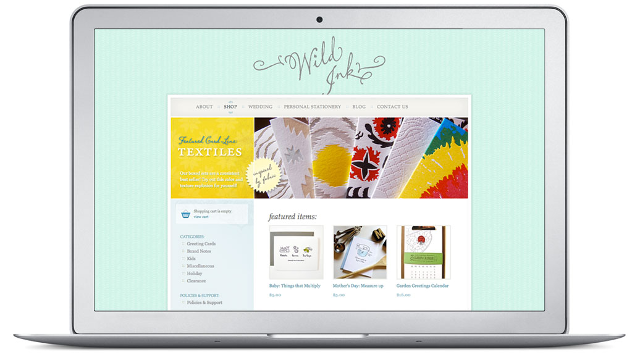 All plans offer all the standard features such as galleries, blogs, form builders, calendars, etc. Also, you get SEO features, premium hosting, ability to use custom domains, and all the other offerings of LightCMS. Note that if you are creating a blog, your blog posts will not count against the page limits. LightCMS is a versatile tool that can be used to put together websites within minutes. While the trend of late is for self-hosted CMSs such as WordPress; hosted Content Management Systems have a market and target audience of their own, and this is where LightCMS fits in. If, for example, you are looking to quickly get online, and setup your online store or website within minutes, without having to deal with the hassles of web hosting or website maintenance such as software updates and security issues, LightCMS is very easily your best bet for this purpose! It takes care of web hosting, software maintenance, and updates as well as all other tasks, and allows you to focus on the creation of your website. On the other hand, what if you are a web developer? Is LightCMS meant for you? Should you not go for something that gives you absolute freedom, and can be run on your own server? LightCMS has a particular plan meant exclusively for developers. You sign up for LightCMS and are given the ability to resell LightCMS to create websites for your clients. You can set up your own pricing model, and among other things, LightCMS grants you SFTP access to get going quickly. More importantly, you do not have to deal with annoying tasks such as upgrades, server issues, etc. All of that is taken care of by LightCMS. As a developer, you can work with HTML and CSS in LightCMS, and even modify the source code if you have a custom design in mind. LightCMS also handles automated client billing for you, leaving you with more time to focus on actual web development. As such, LightCMS is an ideal pick if you are looking for a hosted solution that does not cost a fortune, and at the same time, gives you ample features and tools to build websites without having to worry about upgrades and web hosting. More importantly, LightCMS does not lock you down to any proprietary code or language either — everything is in HTML or CSS, and you can play with the source code as well. So you have the freedom of doing things your way when working with LightCMS. What do you think of LightCMS? Will you be giving it a spin anytime soon? Share your views in the comments below!